Archeologists have discovered evidence that the ancient Sonoran Desert people who built the Casa Grande also developed wide-scale irrigation farming and extensive trade connections which lasted over a thousand years until about 1450 C.E. Archeologists call a site where there are earthen buildings, red on buff pottery, and extensive canals "Hohokam" but this is not the name of a tribe or a people. Years of misunderstanding have confused the ancestors of the O'Odham, Hopi, and Zuni people with the name Hohokam, which is not a word in any of their languages nor the name of a separate people. The monument area is more than 400 acres. Guided tours, visitor center, educational exhibits are offered. There is a picnic area. 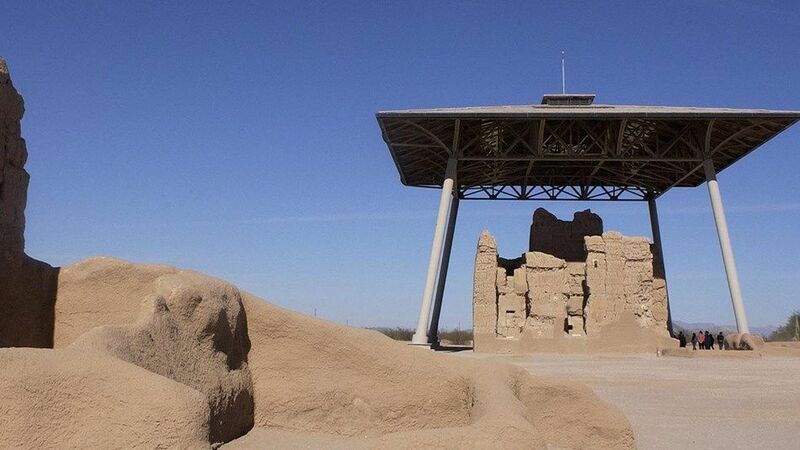 Casa Grande Ruins National Monument is less than one hour from the Town of Marana.